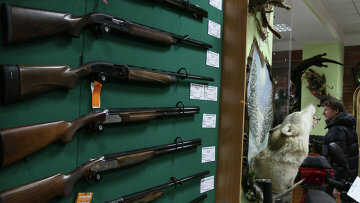 Russian prosecutors urge to lower age of criminal liability for illegal weapon purchase | Russian Legal Information Agency (RAPSI). MOSCOW, November 1 (RAPSI) – Prosecutors have proposed the lowering of an age of criminal responsibility for ammunition trafficking in Russia from 16 to 14 years, according to the spokesperson of the Prosecutor General’s Office Alexander Kurennoy. Kurennoy told a RAPSI correspondent on Thursday that suggestions about the necessity of such amendments to the Russian legislation had been forwarded to the Investigative Committee. Moreover, in September, the Prosecutor General’s Office offered the Federation Council Committee on Defense and Security to fix a criminal punishment for online distribution of weapon and explosive device manufacture instructions, he said. The number of shootings and explosions committed by underage persons has significantly increased in Russia recently. On October 31, a 17-year-old resident of the Arkhangelsk region brought a self-made device into the local Federal Security Service’s building (FSB). The device exploded and left the teenager dead, while three FSB employees got injured, according to investigation. On October 17, an explosive device composed of metallic items detonated in a student canteen of Crimea’s Kerch Polytechnic College. Later, an alleged criminal identified as a student of the college’s fourth grade Vladislav Roslyakov, 18, shot people present in the building and then committed suicide, the investigators’ statement reads. According to the latest information, 20 persons were killed in the incident, over 40 people were wounded.